California Creations is a leading general construction company with lengthy experience, skilled manpower, and unmatched work ethic. 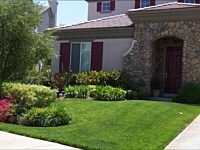 We have been offering our expert services in the Los Angeles, Thousand Oaks, Santa Clarita regions since 1994. 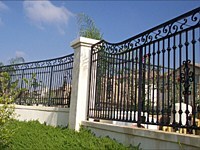 Our company handles residential projects, as well as commercial and government construction works. We value excellence in all aspects of our work, and we always strive to give clients the kind of service that they deserve. Please call us today to learn more about our services. 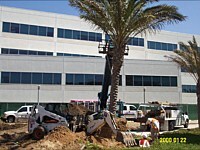 You cannot find better people to work on your general construction needs than the crews we have at California Creations. We have the right people for specific tasks – certified masons, electricians, plumbers, wood workers, painters, and interior designers. Our people are not the usual run-of-the-mill type of workers but are some of the most creative, dedicated, and skilled landscaping and construction personnel in the state. They are well-versed in their craft, so you’re guaranteed the right solutions for your specific building and construction concerns. Construction design and engineering. We have dedicated crews who handle all design tasks and engineering projects of our company. Whether the project involves a residential development or a commercial complex, our personnel are the best people you can hire. Site development and preparation. We can perform demolition, excavation, grading, and hauling using our fleet of heavy construction equipment. Remodels and renovations. We can do quick room additions or redo your home’s plumbing and masonry. We can also remodel kitchens, bathrooms, offices, and other areas inside your home or commercial property. Irrigation and drainage systems. We use efficient irrigation systems and install the perfect drainage system for your landscape. Electrical works. Our licensed electricians can do lighting audit to installation of electrical systems. We can tackle both indoor and outdoor electrical works from installing room air conditioning units to outdoor lighting for your garden or pool. Additionally, we offer other value-for-money services such as painting, installation of doors and windows, roofing, stucco and drywall, and many others. Just let us know your specific general construction needs, and we’ll provide you with the perfect solutions. Why Hire Our General Construction Services? There are some great reasons why you should trust only in us when it comes to your general construction needs. First is that we offer competitive rates that are absolutely easy on the pockets. We can work on your budget limits so you won’t have to shed additional money. We also guarantee to complete projects on time and cause no unnecessary disruptions to your daily activities or operations. We follow a strict, time-tested schedule and set of methods that allow us to work fast without sacrificing the quality of our work. Lastly, we can guarantee outstanding workmanship by sticking to the approved work plan. We also perform spot checks throughout the project duration to ensure that we’re on the right track and issues are immediately addressed. Call us today at (818) 833-1231 or (818) 419-8306 to experience the kind of service that we have been providing our clients in Los Angeles and other CA cities that we serve. We hope to hear from you soon!